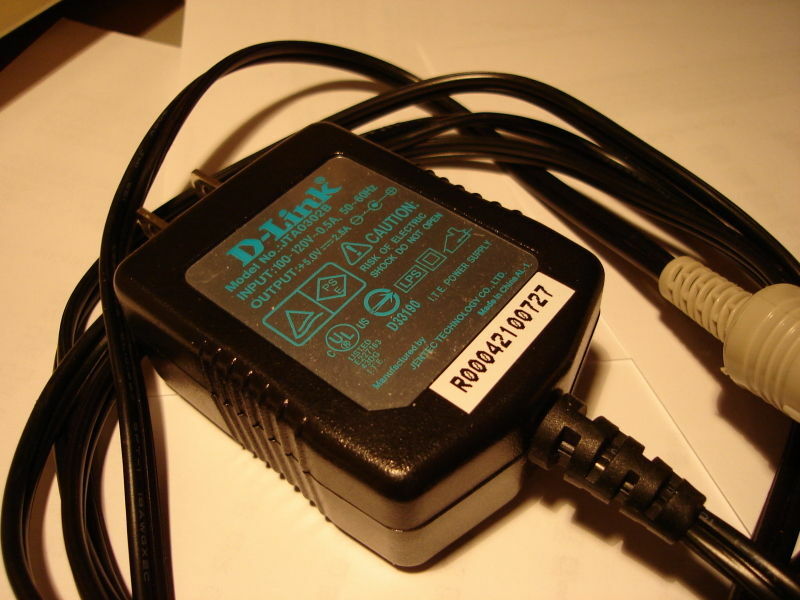 I did not have a power adaptor for this computer so I built using a DIN connector and a suitable power adaptor (rating: 5 volts, 2.5A max). 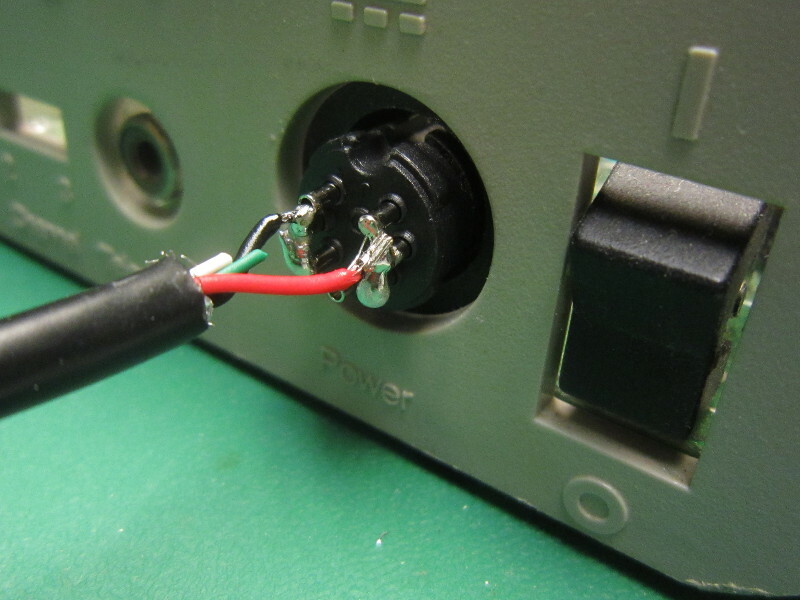 In practise I measured a current of about 800mA, so any 5v power supply rated at 1A or above should be appropriate. 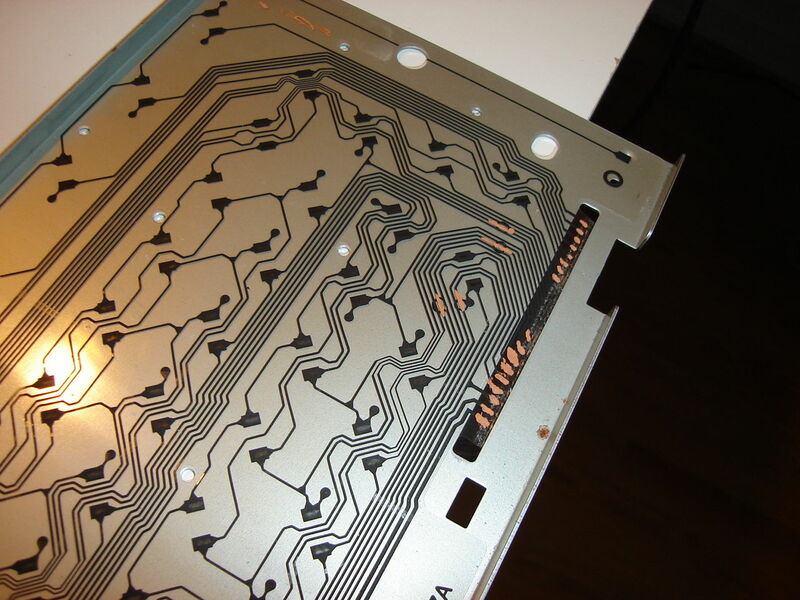 Note that the orientation shown above is what you see when looking at the back of the computer. 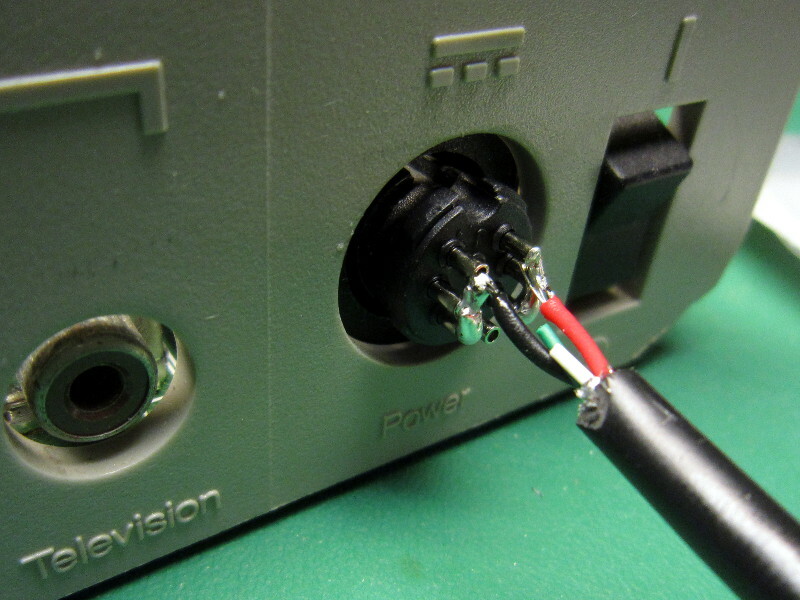 Recently (January 2014) I built an USB power cable for this computer. 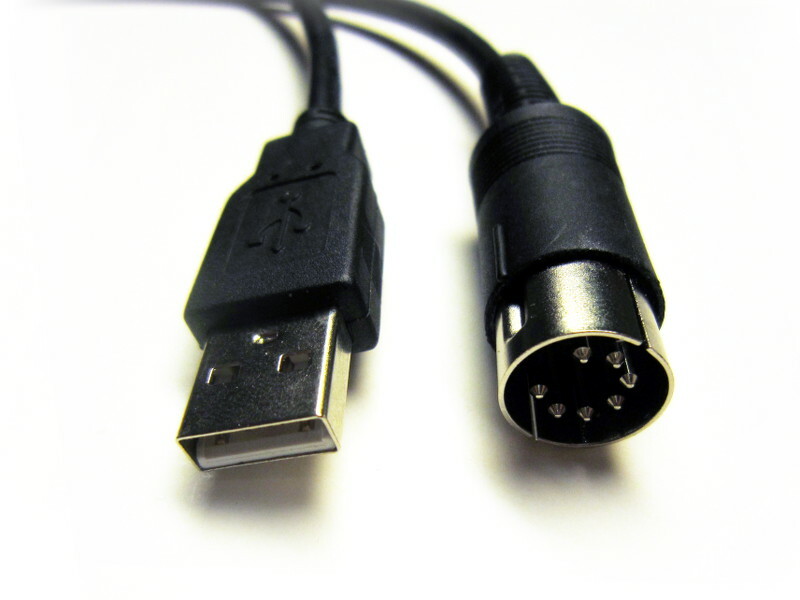 USB power supplies capable of supplying enough current (~1A) are now very common, so an USB based solution is possible and convenient. 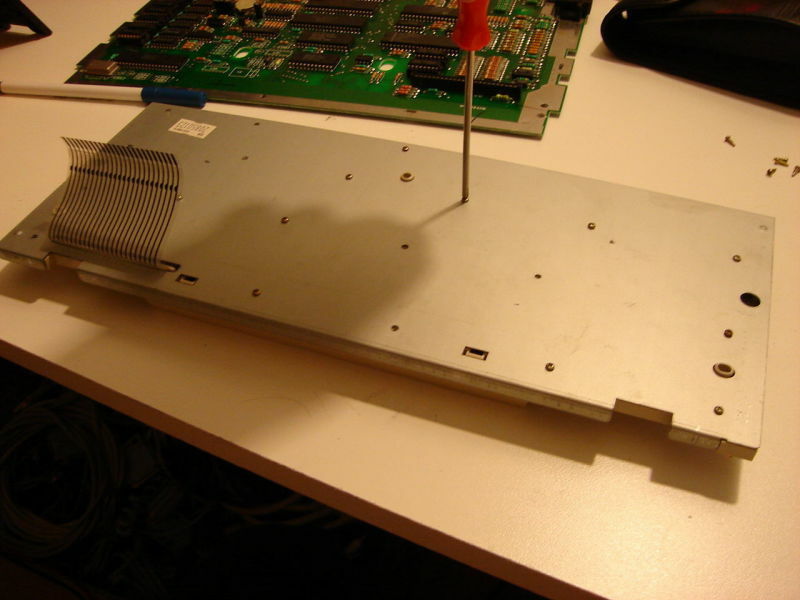 To fix the problem, I needed to locate and replace the bad memory chip(s). 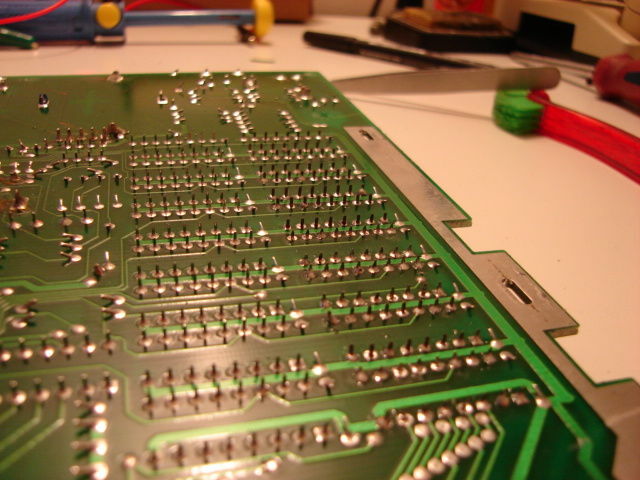 So I desoldered half of the memory chips (a total of 128 solder joints) and installed sockets. 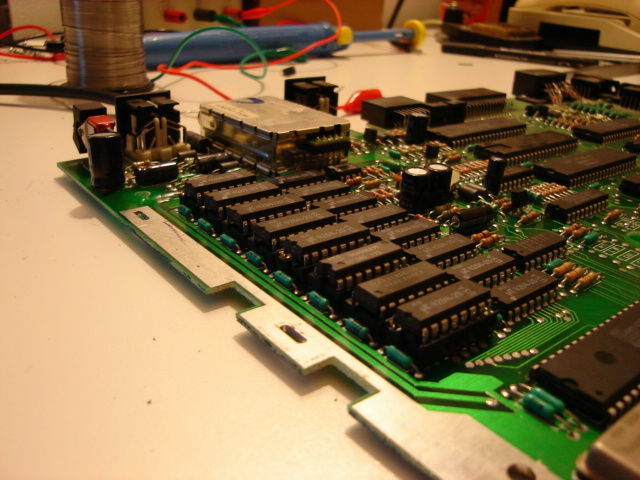 The DRAM chips that were initially installed in my atari were of the 4264 type. Luckily, I had some compatible memory chips in stock (some km41256-15). I used an elimination process to find the bad chip (swap old chip with new chip, test, put the old chip back...). In the end, there was only one bad chip. 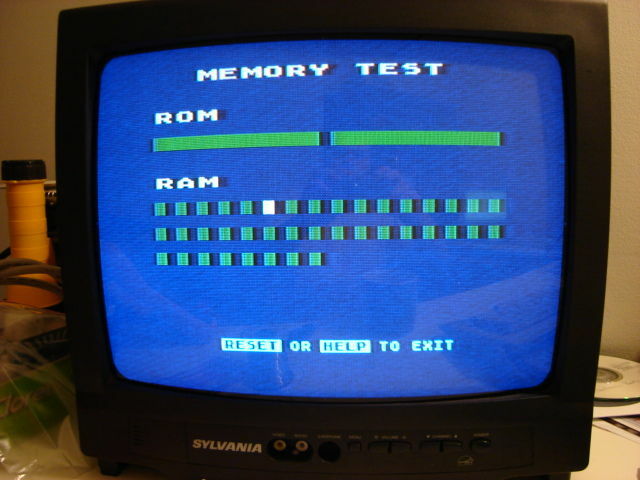 After replacing the bad RAM chip, the memory test screen would not appear at powerup anymore. Only the 'OK' basic prompt. 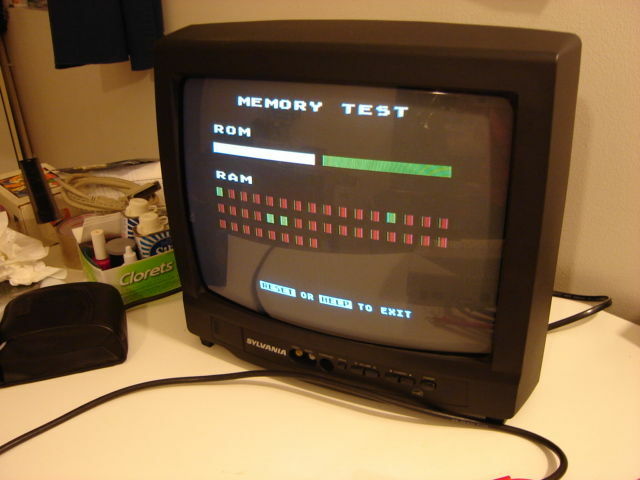 When I ran the memory test later (typing BYE at the basic prompt and selecting the test from a menu), no more errors were visible. So, some keys were non-functional. First, I had to determine what was really causing the problem. Was it the keyboard itself or the associated circuitry on-board? I disconnected the keyboard and using a small piece of wire, I tried connecting a pair of keyboard connector pins in all possible combinations until I saw a non-working character appear on screen. So it was a keyboard problem! Next I opened the keyboard. 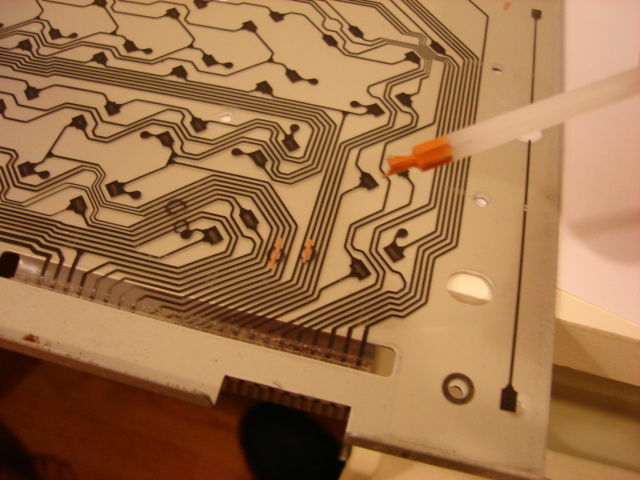 Inside, there was a plastic sheet with an electrical circuit drawn on it, using some sort of conductive ink. 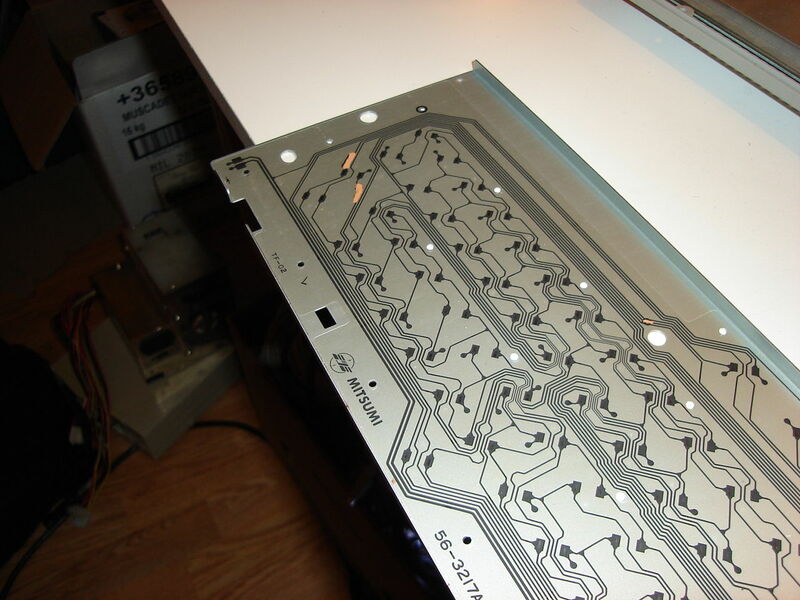 Finding the broken tracks under the keys was easy, but I had to use a multimeter to find breaks in the ribbon that goes to the motherboard. 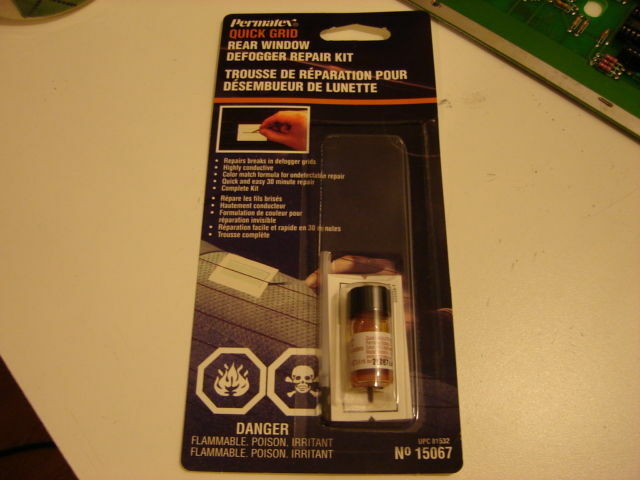 To repair the tracks, I bought a window defogger repair kit. This paint conducts electricity very well and dries real fast! I used a very small brush to repair the tracks, but it was sometimes very hard not to paint over the neighboring tracks. I corrected my mistakes by scraping the paint with a sharp knife tip. (Note: This good idea is not mine. 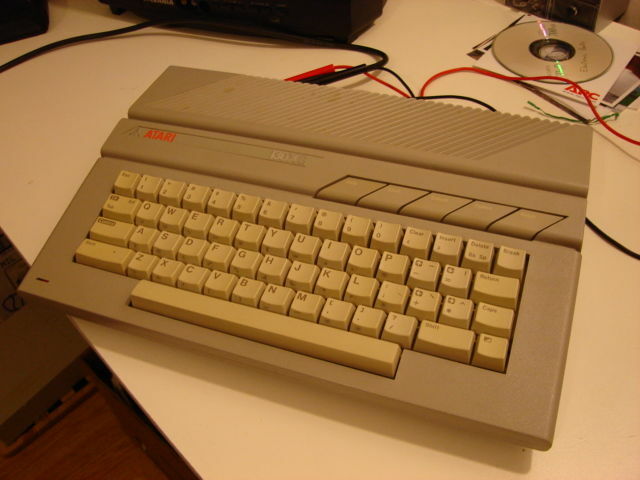 It's a suggestion someone named Aaron made in reply to a question about an Atari 800xl keyboard in the comp.sys.atari.8bit newsgroup in 1999. Here is a link to this thread on google groups. On these two pictures, you can get a closer view of the repair. 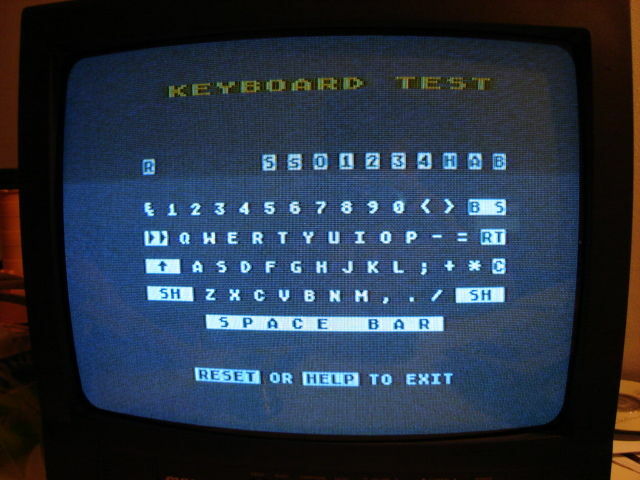 Now that the keyboard was repaired, I was able to type the 'BYE' command, which made the test menu appear. 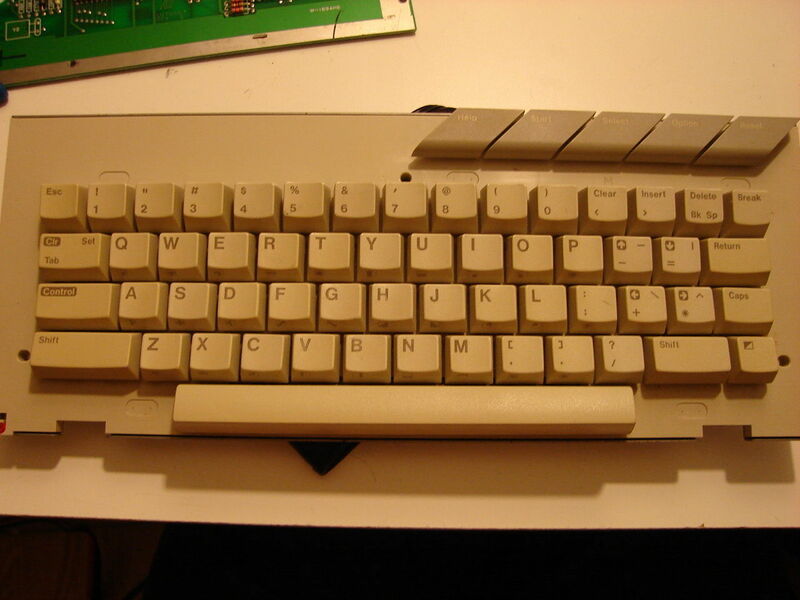 I was able to confirm that all the keyboard keys were functional. 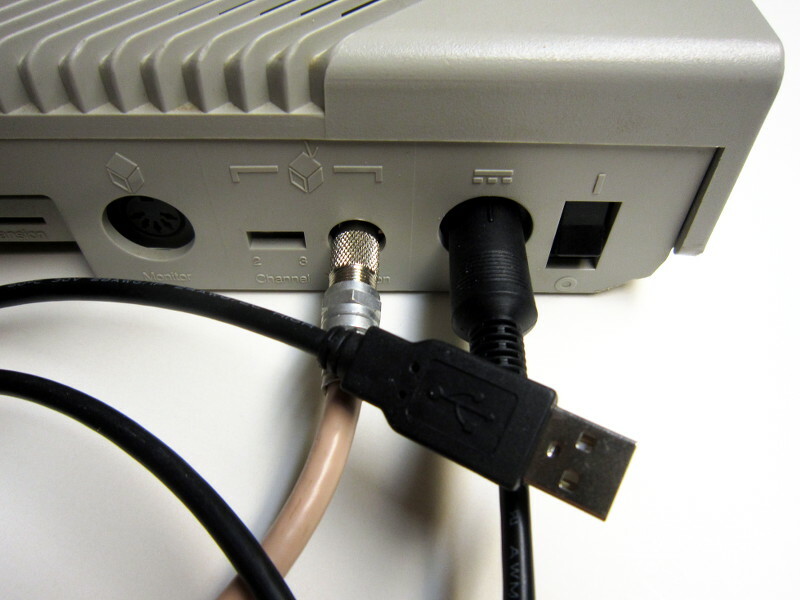 Using SNES controllers with on an Atari 130xe is possible with my SNES to Atari/Commodore adapter. 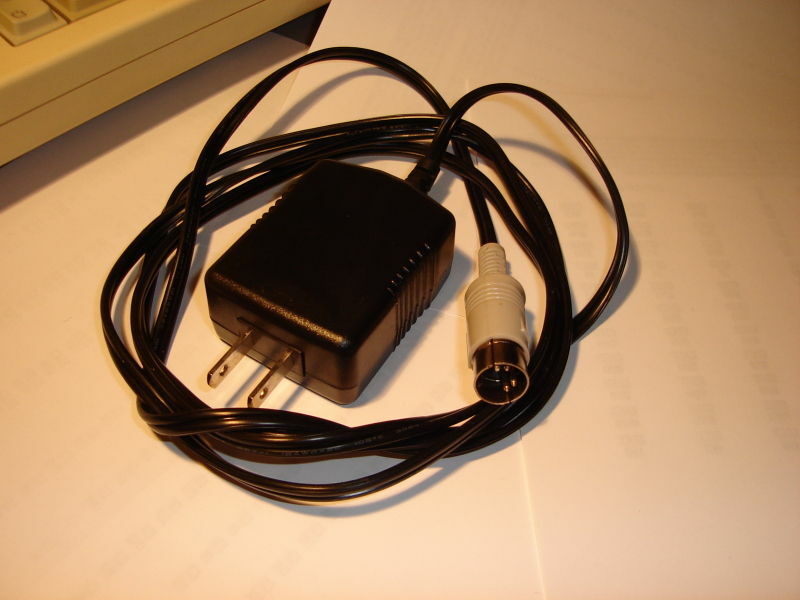 But since I dont have an SIO connector, I plan to build the interface directly inside the Atari. 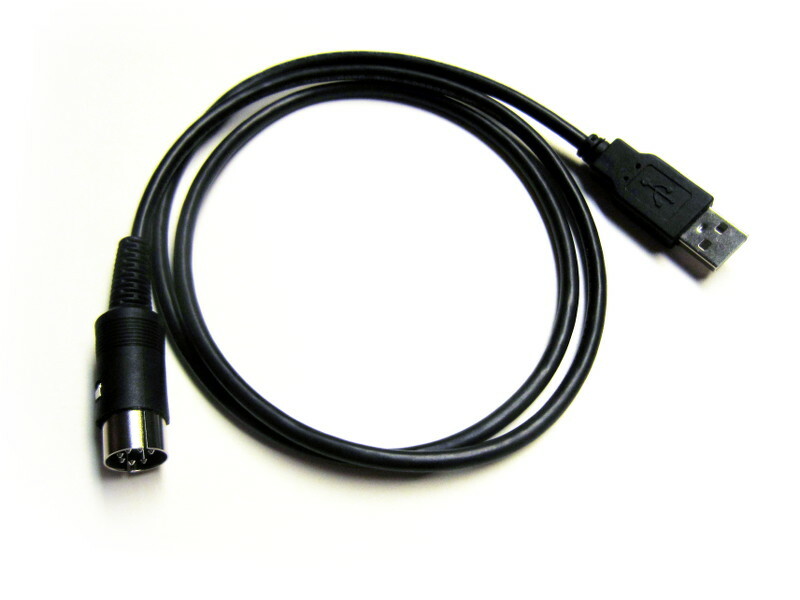 This means there will be a DB9 connector on the Atari. I'm also thinking about buying or building a cartridge for games.